My mother was tested positive for diabetes, incidentally after a urine test. That was about ten years ago, and since then she, like so many other people with diabetes, became obsessed about her blood sugar level. Her doctor warned her to control it or the consequences could be dire and that she might end up blind, lose a leg, get kidneys failure and so on. Twenty-nine years old Riaz Ahmed, the narrator of this short but sad story, said that since the diagnosis, his entire family had been trying hard not to lose their beloved mother. “But neither all the precautions nor the prayers could save her surviving his mother. My mother, then 63, began taking pills to maintain her blood sugar level and pricking her finger several times a day to measure her sugar level that, however, could not be controlled. Finally she agreed to add insulin to her medication,” Riaz added. He said they had been doing everything to control her diabetes but they overlooked the importance of keeping a check on her cholesterol level. And in the end, the cholesterol killed her, said Riaz while choking back his tears. Every year, hundreds of diabetic Pakistanis go abroad in the hope of getting better treatment while the poor stay here and cope with the ailment with limited resources. And then there are others, who suffer because of poverty coupled with illiteracy, lack of health care facilities and awareness. Besides this, wrong diagnosis and medical negligence also sometime contribute to the rise of diabetes-related mortality rate. This leads the public to not to trust medical professionals. Many patients complain that doctors avoid explaining as to what their ailments are or how they will be treated. For those who can afford it and those who manage to scrape up their savings or use whatever resources they have, opt for going thousands of miles away where they believe they will get the right treatment. 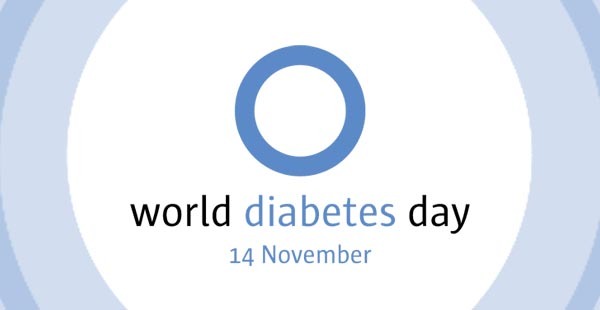 In this scenario, the World Diabetes Day is going to observed today (November 14) all over the world including Pakistan to increase an awareness about the effects of diabetes and its complications amongst the general population and professionals in a range of sectors. It is also hoped that the increased awareness will lead to more resources to fight the causes of diabetes and help fund research into improved treatment options. The World Diabetes Day raises global awareness of diabetes, its escalating rates around the world and how to prevent the illness in most cases. Initiated by the International Diabetes Federation (IDF) and WHO, the day is marked on 14 November to observe the birthday of Frederick Banting who, along with Charles Best, was instrumental in the discovery of insulin in 1922, a life-saving treatment for diabetes patients. WHO estimates that more than 346 million people worldwide have diabetes. This number is likely to more than double by 2030 without intervention. Almost 80% of diabetes deaths occur in low and middle-income countries. The World Diabetes Day campaign is led by the International Diabetes Federation and its member associations around the world, including the American Diabetes Association, Diabetes UK, Diabetes Australia, the Canadian Diabetes Association, Diabetes South Africa, Diabetes New Zealand and the Diabetic Association of India. These organisations arrange events at international, national and local levels. Conferences, workshops and seminars are held where health and public policy professionals discuss steps to control the disease. Events are covered in local and national media, including television, newspapers and internet publications to highlight the issue. Diabetes is no longer an unfamiliar disease. It is probably the most talked about ailment in Pakistan. Every year, the number of patients affected with diabetes is increasing. It is a chronic condition that arises when the islets of Langerhans cells of the pancreas fail to produce adequate amounts of insulin, a hormone that regulates the blood sugar level of the body. So, no matter how carefully patients try to control their blood sugar, they can never get it perfect – no drugs can substitute for the body’s normal sugar regulation. So while controlling blood sugar can be important, other measures also are needed to prevent blindness, amputations, kidney failure and stroke. A medical specialist at Pakistan Institute of Medical Sciences (PIMS) said that Pakistan would be having 16 million people with diabetes with fourth number in the world. He said the warning symptoms of diabetes were weight loss, increased thirst, increased urination and weakness. He said anybody having these symptoms should get his or her blood sugar level checked. He said a 30-minutes walk could reduce the occurrence of diabetes by 40 percent in a normal person. He said heart attack and stroke were some of the main complications and with progress of the disease life could become miserable for the patient. “Controlling the blood glucose prevents or at least delays complications. The factors leading to diabetes mellitus were obesity, hypertension, hyperlipidemia, family history and background etc,” he added.